I moved my office outside to the patio today to write an article for The Oldish about a new app for the deaf community. You can read it by following this link. Pretty interesting stuff that came out of a teenager’s cheekiness and knowledge of technology. Anyway, a dragonfly landed on a plant not far from my patio table and seemed pretty content so I approached cautiously with my iPhone to grab a picture. It’s posted on my Instagram account if you’re following me there. Not appearing to be too freaked out by my presence, I wondered if it would stay long enough to permit a better shot. I went inside to grab my Canon 5Ds and 100mm lens and thought I’d see just how close it would let me get. As it turns out, pretty close. He or she just sat there posing like a trooper and likely wondering what the human was all about. 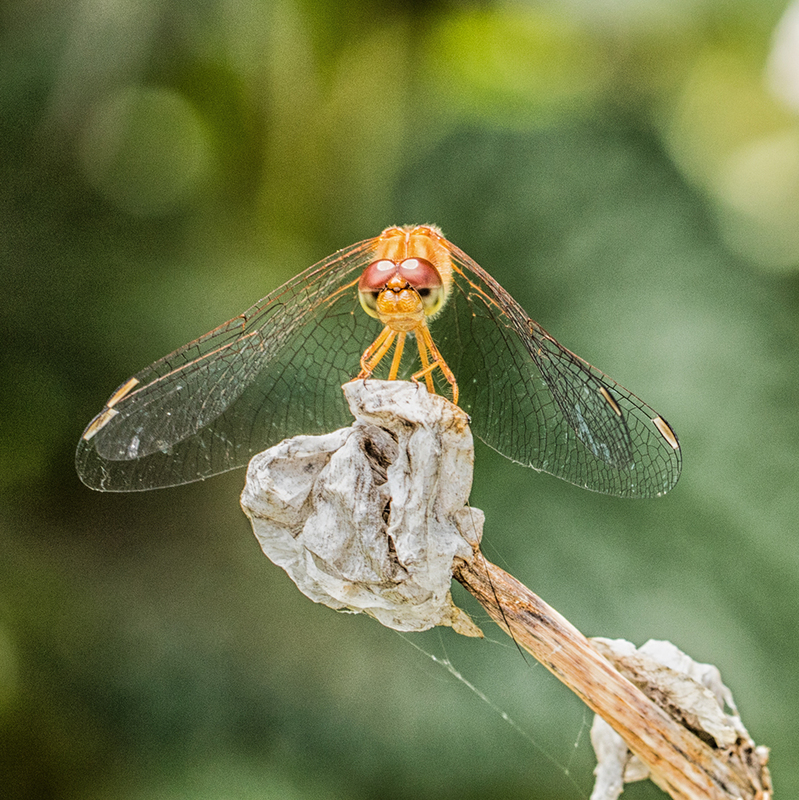 The dragonfly stayed on it’s plant perch for quite a while after I was done. Gotta love Mother Nature!